Water helps with several bodily functions and is immensely necessary for health. In fact, not drinking enough water can even be dangerous. After all, 60% of your body and 90% of your blood are made of water. Water also plays a major role in helping you lose weight. You must have noticed how sometimes your screaming cravings can be shut down with only a glass of water. This is because water is a natural appetite suppressant that makes the stomach signal fullness to the brain. This reduces hunger and keeps you from overeating. 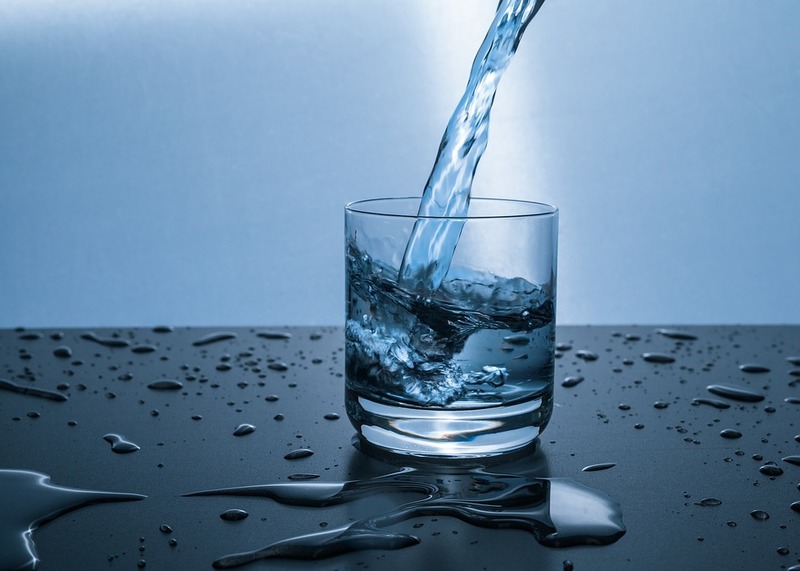 This is why it is often recommended to drink water prior to munching on a snack so that you may not consume more food than recommended and put on weight. Research backs this role that water plays in controlling you from eating too much as well. Water can also enhance calorie burning in your body. This is because water consumption can increase energy expenditure. In this regard, cold water may prove to be more helpful. When you drink cold water, your body has to work harder to heat up water. This speeds up metabolic activity, burns more calories and hence, helps you lose more pounds. Water also helps you lose weight by flushing toxins out of your body. When waste gets collected in your system, you may feel bloated. Bloating can make your tummy expand and seem stiffer. Water eliminates this waste and reduces your waist circumference. It also keeps you hydrated and in this way, it prevents constipation and enables bowel movement. It makes the kidneys filter out impurities. Water is crucial for metabolism. Without it, the body cannot burn fats or carbohydrates. The metabolic processing of fats is called lipolysis and the first step for lipolysis is hydrolysis. Hydrolysis requires water for interacting with triglycerides for the production of fatty acids and glycerol. Therefore, if you want to burn consumed or stored calories, you need water. Exercise comes with several health benefits. It can help one lose and maintain weight. Water plays a part in one’s workout sessions as well. It assists in the movement of connective tissues, muscles, and joints. It also keeps all the organs of the body such as the lungs and the heart functioning properly. Keeping oneself hydrated can help stave off fatigue and muscle cramps that may follow exercising. Therefore, keep a water bottle nearby when working out. Water can also decrease liquid calorie intake as it can replace other beverages. Alcohol, juice, soda, etc. all come packed with calories. Replacing these with water or drinks that comprise majorly of water such as lemon water, cucumber water or tea can help lose weight. Is Cucumber Water Really Healthy?